Scenario B: Very small delicate items (such as eggs and shrimp) that cook so quickly that they are prone to overcooking. Apparently, Cooks Illustrated tested one million-ish ways to boil and peel an egg and shared the whole secret in this book. I'm calling it the "whole" secret because I already knew most of this except one pivotal detail. I'll walk through the process. Egg yolks cook at a higher temperature than egg whites, which means that in unbridled boiling water, you have to seriously cook the crap of the white to set your yolk. The trick then, is to put eggs in room temperature water and bring to a boil. Once at a boil, remove from heat and cover for 10 minutes. Now here's the magical part I never knew! How to remove the peel without tearing away half your egg with it. Sometimes I would nail this and others I shredded my eggs to pieces and I couldn't figure it out. I'll do my best Alton Brown impersonation for the science part of this: The thin protein film in between the egg white and shell will bond with the shell in a gradual reduction of temperature. 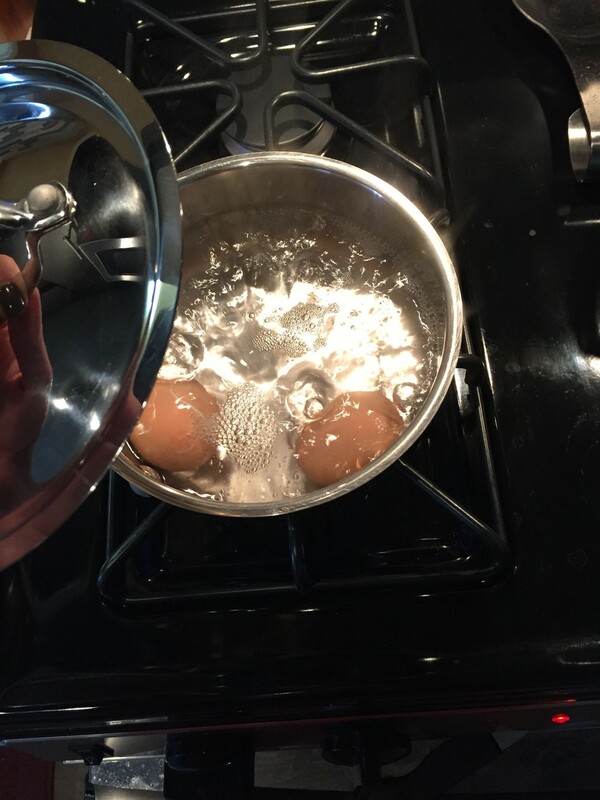 Dumping the eggs in an ice bath immediately after they are cooked temporarily halts that bonding process. (I knew ice baths were part of the process, but didn't know why or realize the importance of timing). But wait! 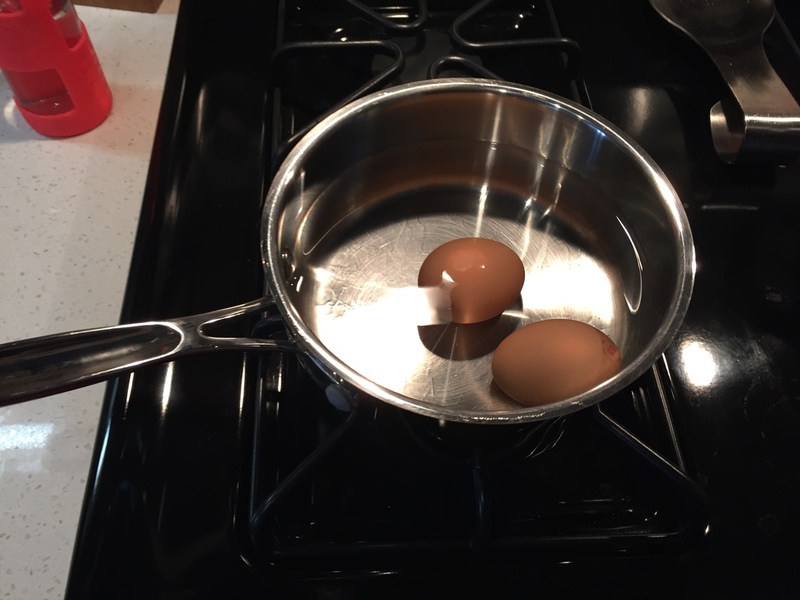 Here's the real secret: Shake up the eggs in the emptied pan to crack the shells before their bath. This allows the ice water to seek under the shell and even further halt the protein bonding. After I got back from the grocery store today, I realized we only had two eggs left, so my test sample isn't large, but sure enough, it worked like a charm. Also - check out the last picture. One of my eggs had its air pocket on the side instead of the end. I've never seen that before! I thought it made the egg look like a nest. How meta. Onto Chapter 2 next week! !